As I’ve mentioned before, part of what I’m working on now with my Trombone History Timeline is refining the sources and images. When I find an additional or better source for an item, I add it to that caption. When I find a better reproduction of a painting I replace it. 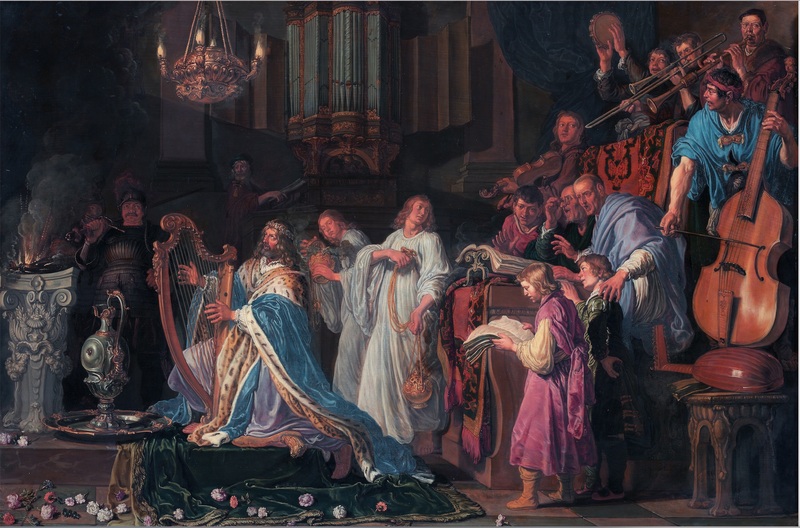 Recently I found, on wikimedia, an excellent high-resolution reproduction of a relatively popular painting by Pieter Lastman titled David in the Temple. 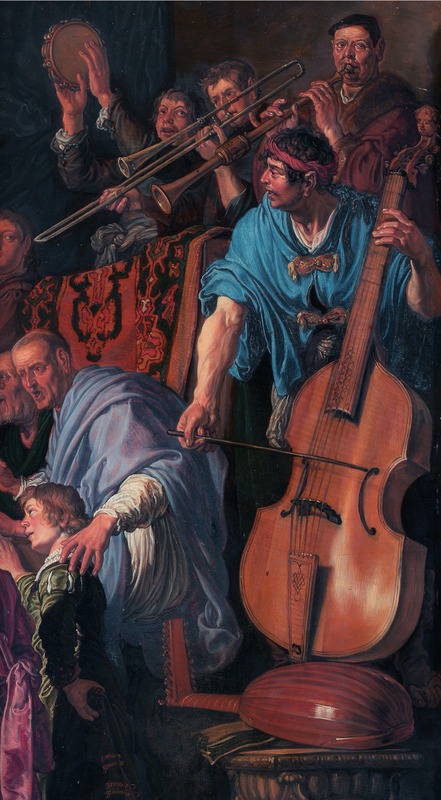 Although the painting is clearly not historically accurate in its depiction of musical instruments of ancient Israel, it does picture numerous musical instruments that were common in Lastman’s own time (1583-1633). I have added these images in place of the lower-quality ones I had before. 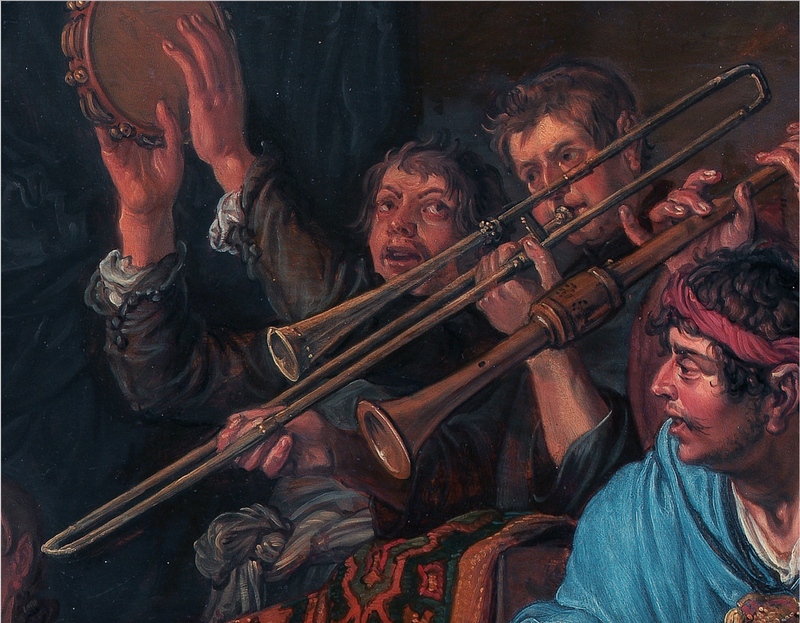 See the Trombone History Timeline (17th century, 1601-1625) and my HubPages article on the grip of the early trombone. A close detail (see first image, below) of the trombonist shows the player’s left- and right-hand grip, as well as some aspects of the instrument itself (such as the bell garland and what appears to be a flat stay on the bell section). 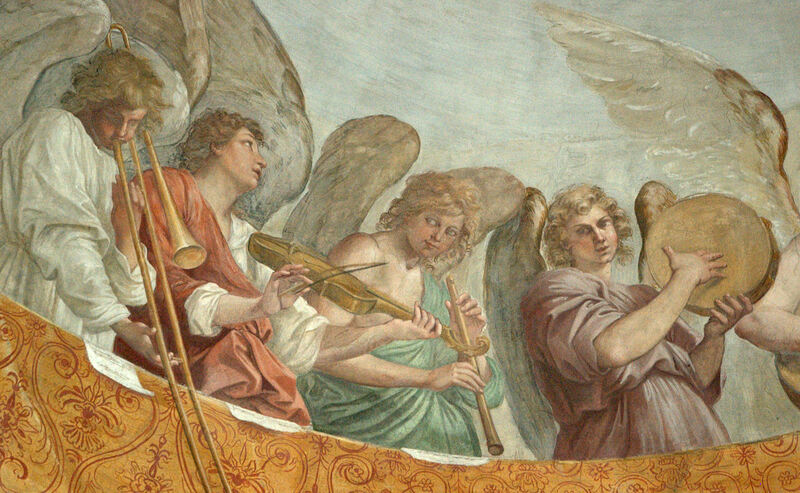 A slightly wider detail (see second image, below) shows most of the other instruments in the ensemble, and the full image (see bottom image, below) shows the musicians in the full context of the painting. All of the images below can be expanded if you click on them. In most cases they will expand even farther if you click again.